Damp proofing is applicable when it is ensured that hydrostatic pressure around foundation wall and floors is not observed. Here our concern is concrete and masonry foundation, wood foundation should be constructed according to AF & PA PWF. A subsurface geotechnical investigation should be performed for determining existing ground water table. Here we will cheek whether or not ground water table is within or above 5 feet below lowest floor level; obviously the floor is constructed below ground level adjoining foundation. Again this investigation is not required when waterproofing measures are provided according to section 1805, IBC. Dear reader we have discussed waterproofing according this section in previous posts. 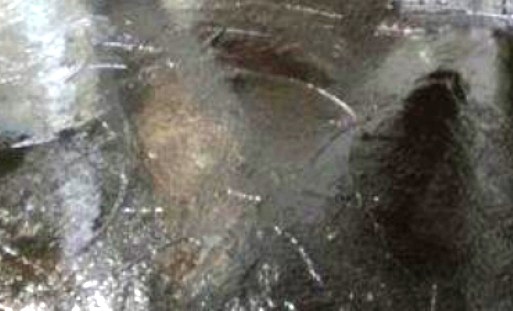 At first we will learn about materials for dampproofing according to IBC. Crushed stone or gravel having equal or less than 10% of particles passing through a 4.75 mm (No.4) sieve is recommended in IBC as base course along with dampproofing material. Base course is not required where separate floor above concrete slab is provided. When dampproofing is provided beneath slab, it should consist of equal or more than 6 mil polyethylene having lapping at joints equal or more than 152 mm (6”) or other approved materials or method. Mil is a unit means 0.001 in or 0.0254 mm i.e. a length unit. 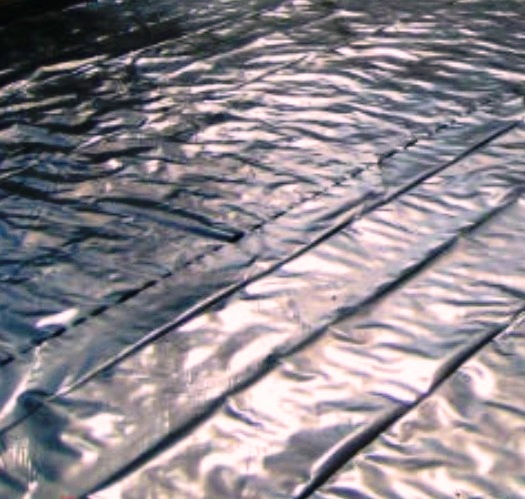 When dampproofing is provided above the slab, it should have rubbed out on bitumen, equal or more than 4 mil polyethylene or other approved materials/ methods. In case of sealing of joints of membrane, the lapping and sealing should be done according to instruction of manufactures. Now we will learn about dampproofing of foundation walls according to International Building Code. Dampproofing of foundation walls is considered when hydrostatic pressure is not expected around foundation walls. As in floors, subsurface investigation should be conducted for foundation walls. • 3 pounds/square yard of cement modified with acrylic resin (16 N/m2). 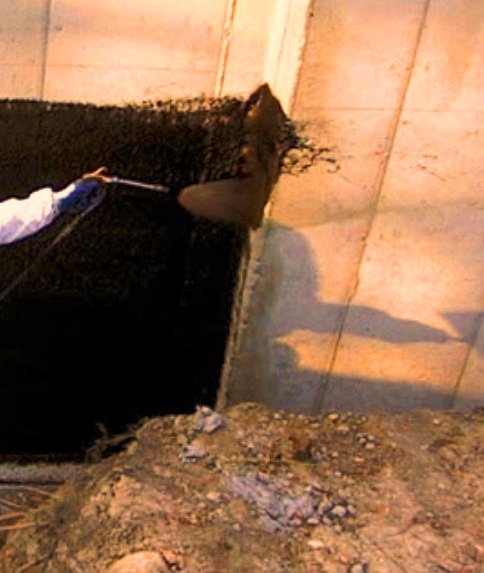 • Any materials as per waterproofing requirements in IBC, 1805.3.2 or another approved materials or methods. Dampproofing materials should be used on exterior surface of foundation wall. It should be extended from top level of footing to above G.L.